Are you looking to buy cheap computer parts, computer components, computer hardware or computer software online from an Online Computer Store in Brisbane, Australia? If so, you have come to the right place! MegaBuy is the leading Online Computer Store in Brisbane, Australia with the cheapest prices on computer parts, computer components, computer hardware and computer software. We have over 20,000 items in stock and will BEAT any competitors' prices on any computer parts, computer components, computer hardware and computer software we have in stock. 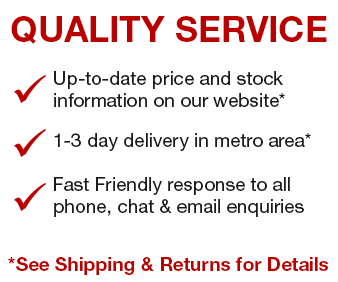 Our Online Computer Store does not only pride itself on having the cheapest prices in Australia on computer parts, computer components, computer hardware and computer software but also the exceptional customer service that we provide to our customers during all stages of their interaction with us, starting from answering pre-sales queries to handing of refunds and warrantly claims. We always have the cheapest prices on computer parts, computer components, computer hardware and computer software at MegaBuy Online Computer Store as we constantly monitor the market and ensure that our prices stay competitive and don't fall behind when our suppliers or our competitors change their prices. When you come to shop with MegaBuy Online Computer Store you can be assured that you are getting the best price for the cheapest prices on computer parts, computer components, computer hardware or computer software you are looking to purchase. MegaBuy Online Computer Store has an office in Brisbane. Our customer service representatives operate out of this office to ensure you get the best customer service possible. You can contact us via our website, email, phone or online chat, whichever best suits you. Information about shopping at our Online Computer Store coming soon.